“The top deadliest cities in the U.S. for pedestrians are found in Florida,” says Ellsworth Buck, Vice President for GreatFlorida Insurance, Florida’s largest independent car insurance agency. Smart Growth American and the National Complete Streets Coalition have published their report, “Dangerous by Design 2019,” detailing the nation’s most deadly streets for pedestrians. Data reveals, between 2008 and 2017 the number of annual pedestrian deaths in the U.S. increased by 35 percent. While walking has increased slightly during that time and driving has only increased eight percent. A total of 49,340 died over the ten-year period, more than 13 people killed a day. “Over the ten-year period, the Orlando area saw 656 pedestrian deaths,” says Ellsworth Buck, Vice President for GreatFlorida Insurance, Florida’s top independent car insurance agency. The report exposes dangerous road design is to blame for deaths. Modern streets are wide with higher speed limits and longer blocks. The coalition is calling on congress to make changes such as, lowering speeds limits in areas with heavy foot traffic. They would also like to see more crosswalks with plenty of time to cross the street. “Our federal policies, standards and funding mechanisms that have been in place for decades produce dangerous roads that prioritize high speeds for cars over safety for all people. These federal policies have continued to influence state and local policies as street design practices,” the report states. The National Highway Traffic Safety Administration reminds pedestrians, when crossing the street- always obey signs and signals, keep alert at all times and do not assume a driver sees you. 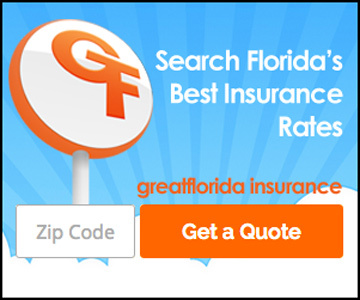 GreatFlorida Insurance has knowledgeable agents across Florida who are committed to finding you the most affordable car insurance to fit your needs. Call 888-478-7801 or online at www.greatflorida.com for a free quote today.